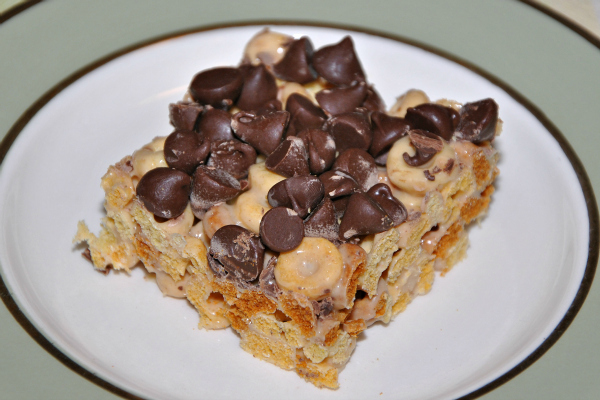 The best part of this recipe is that it doesn't use the whole box of cheerios so there will be plenty for you to have a bowl of cereal the next day. Just don't forget the milk! -Prep a 9×13 pan with cooking spray or buttered parchment. 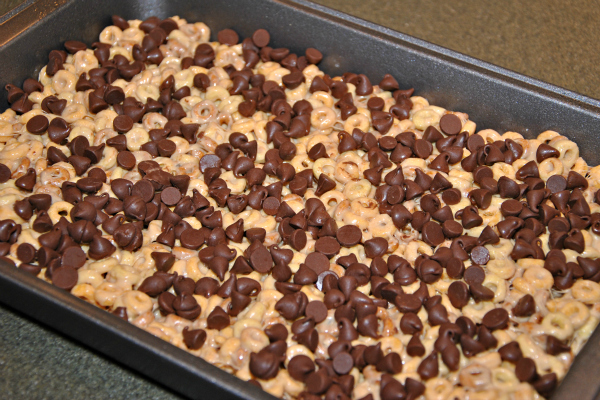 -In a pan over medium high heat melt the butter and peanut butter. 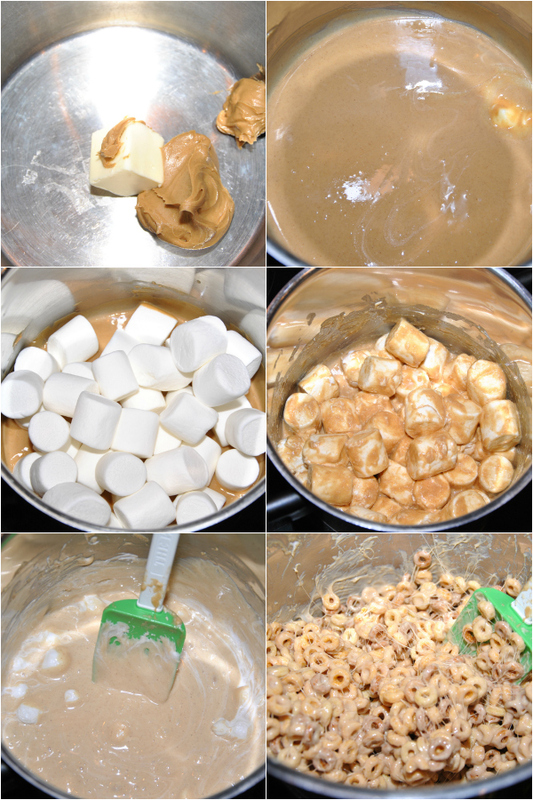 Add in the marshmallows until you get a nice gooey mess. 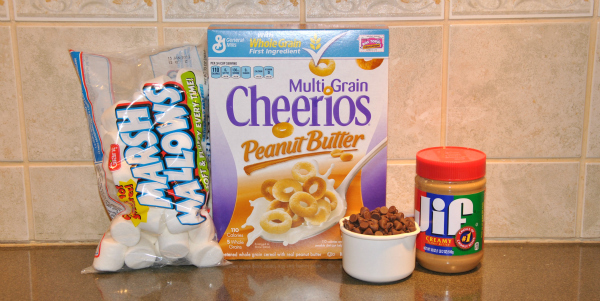 -Add the Peanut Butter Cheerios and stir to combine making sure all of the cereal gets coated. 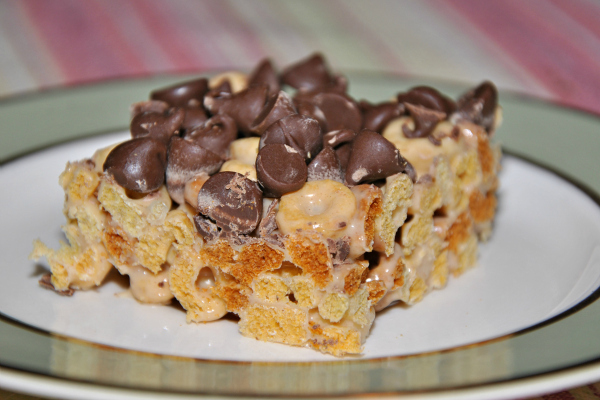 -Press into the prepped pan and while the cereal are still warm, sprinkle the chocolate chips on top so they melt slightly. -Let cool and cut into squares. These taste best if served the same day. Now this looks like something I can "bake" in a cinch! Great looking final product too.